Rebecca Hall Gruyter knows how to be visible: just take a look at what she’s doing in Radio and Television. She provides some real-world advice for simple, safe ways to dip your toe into the pond of speaking like calling in to live VoiceAmerica shows (they want to hear from you) and giving yourself to walk off the stage. Rebecca is talking the talk and walking the walk when it comes to helping others by letting her light shine: Minette and Brad both love that. Listen in and be inspired. 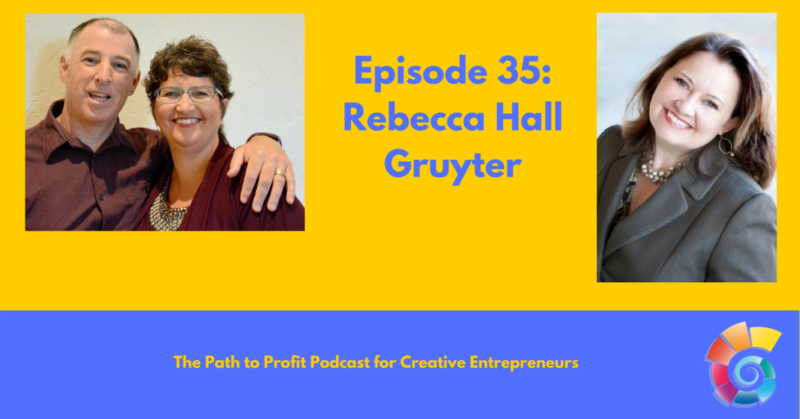 Rebecca Hall Gruyter is the founder/Owner of Your Purpose Driven Practice, Creator of the Women’s Empowerment Series events and TV show, the Speaker Talent Search, and International Best Selling Author (multiple times). Compiler of the recently released International Best Selling Book: Come Out of Hiding and SHINE! Network Director for VoiceAmerica’s Women Channel in both Radio and TV. Network CEO and Owner of RHG TV Network offering transformational programming to a global market. She is an in-demand speaker, expert money coach and a frequent guest expert on success panels, tele-summits, TV and radio shows. As the CEO of RHG Media Productions™, Rebecca launched Empowered ConnectionsTV, an international TV channel (#1 most watched channel on VoiceAmericaTV), bringing transformational TV shows to the world. She is a popular VoiceAmerica Radio Show Host, rated #1 on the Women’s Channel of VoiceAmerica, and is a #1 best-selling author multiple times over. In March 2017, Rebecca will be launching her international TV Network called RHG TV Network where she will be bringing positive and transformational programming to the world…making a positive difference and lasting legacy one show at a time.